I'm always so thrilled to share with you some of my latest finds. Because each one is a like a rare treasure. My Grandparents had an antique book store when I was a little girl. I remember my Grandmother gave me an old Bobbsey Twins book that was similar to this one below. I still have the exact book she gave to me...I will always cherish it! Now the one below is the first in the series. 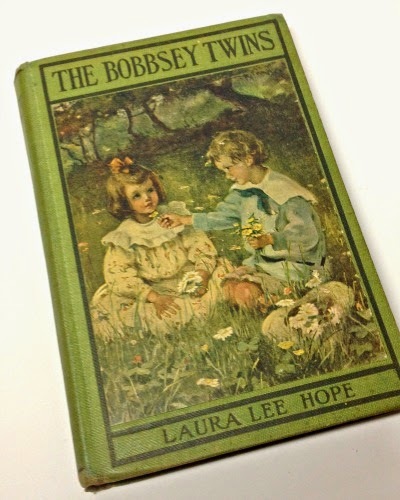 It is called "The Bobbsey Twins or Merry Days Indoors and Out." Copyright 1904. It is one hundred and ten years old! And it is available on my site here. The art work is nice enough to use it for display. I'm starting to add items to my shop. 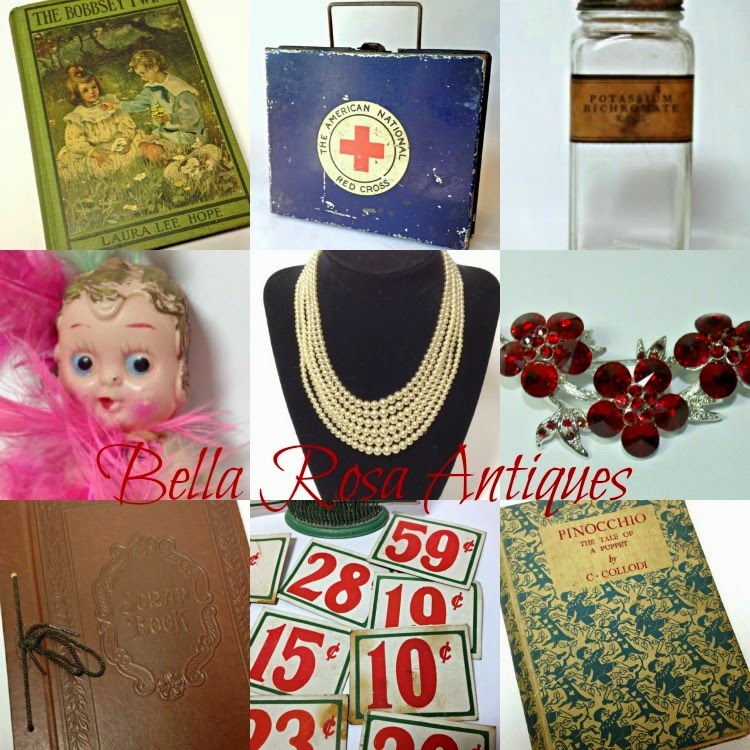 a celluloid Kewpie doll, and more! connect with other sellers and lovers of vintage. I love old books! I have several that have inscriptions in the front with dates as far back as the early 1900's and it amazes me to think someone sat and read that book so long ago! I always love seeing the neat vintage things you find....so unique and different than what I find in my area. I link up to the Blog Shop too!